New book, 319 pages. 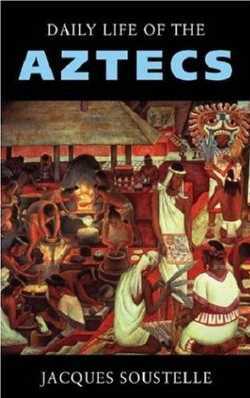 The former politician and international authority on Mexican archaeology and society, Jacques Soustelle, presents a vivid account of the Aztecs, whose fierce, honourable, death-obsessed, profoundly religious people, from their savage days through their swift rise to a life of exquisite splendour in a city filled with 'thing unseen, nor ever even dreamed'. He shows them to have been a people we can understand and sympathise with, even in the darkest symbolism of their blood drenched worship; and he shows what the Aztecs might have become. His account pinpointes them in that moment of their history when they seemed to be on their way to even greater achievements - but the end of their civilisation was already nigh and advancing towards them from the Gulf of Mexico in the shape of Cortes who had landed on March 4th,1519. This item was added to our catalog on Tuesday 14 April, 2009.